This second field report gives way to some of my impressions of the peaceful manifestations that took place during the U.S.- African Leaders summit on August 5th and 6th in Washington D.C. 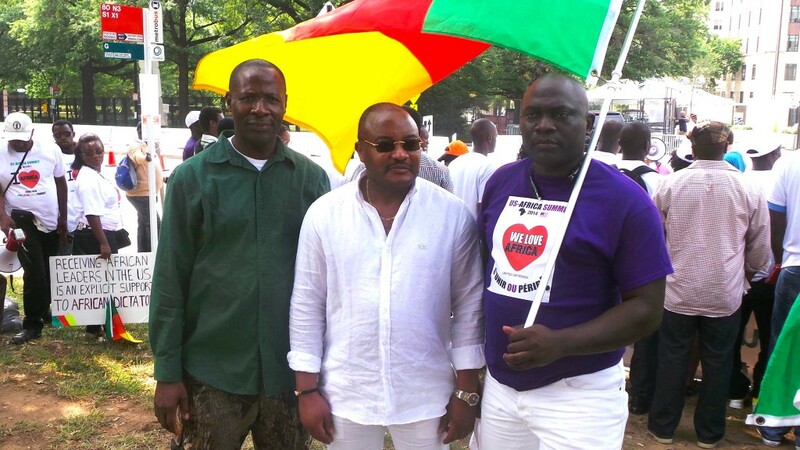 The first protest in which Talla was involved together with anther Cameroonian activist was on Tuesday August 5th on a grass field in front of the White House, as the invitees to the summit were having dinner with the American President inside. The protest included Africans from a number of different nationalities. I have seen in particular those from Congo-kinshasa, Congo-brazzaville, Ethiopia, Djibouti and Guinea- along with the two Cameroonian protestors that I followed. The second protest took place the following morning Wednesday August 6th in front of the Department of State, meanwhile the African leaders were discussing the topic “Investing in Africa’s Future.” This second protest was organised by Cameroonians, and included several dozens of Cameroonians resident in different parts of the U.S.
On Tuesday, there prevailed an atmosphere of pan-african brother- and sisterhood in front of the White House, a site which stretched out over about a hundred metres. “Shame on Obama,” and “African leaders, stop fighting” were some of the slogans that were being shouted collectively. Many protestors carried their personal banners, reading slogans as “Don’t bet on Tyranny,” “U.S. Tax Payer’s Money is Killing Children in Ethiopia,” and, from Cameroon: “Etoudi is not a Nursing Home.” Africans from all nationalities were protesting side by side, portraying their banners and photo collages while making use of each other’s equipment (megaphones were especially beloved) and media attention to present their causes. Media attention however was scarce, and most pictures and video’s they would take themselves, to be posted onto the Internet. My own camera too became a popular target for expressions of political grievances. The two Cameroonians had come to the protests well-prepared, with several banners and megaphones to ensure visibility. On the streets, nevertheless, most people passed the protestors by in a hurry. This did not seem to bother them in any way. Most importantly, Talla had come to the protest to create ties with Africans from other nationalities for future collaborations. Furthermore, photo’s and videos were taken on a continuous basis. The message needed to get across not to the people on the streets, but to the audiences that could be reached through Cameroonian Internet portals and local newspapers and radio and television stations in Cameroon. “African solutions for African problems,” and the role of the Cameroonian leader in the decline of the country were some of the most favoured messages which were shouted through the megaphone. The demonstration of African and Cameroonian unity in opposition to dictatorship was an important element during both protests. Yet especially on Wednesday, divisions and rivalries between the protestors surfaced. Although Cameroonians from different parts of the country were at some point together at the same site, the Anglophones representing the separatist Southern Cameroons National Council and others (many Francophone) representing a number of different Cameroonian Associations in the Diaspora soon each went their different ways. Nevertheless Talla was satisfied with his opportunities to communicate his messages, which had been his main goal for joining the protest this time around. After he reached this goal, and had taken sufficient photo and video evidence of his actions, he left the protest early and withdrew himself. I took the opportunity to ask him for his commentary in the car, and it is here that he explains some of the alternative reasons and motives for Cameroonians in the U.S. to participate in political protest. After the protest, on Thursday morning, I follow Talla on his last trip to a store with African food in Maryland, where he buys a stock of Cameroonian products before returning to Ohio. “Real” activists have become a scarcity, he then tells me. 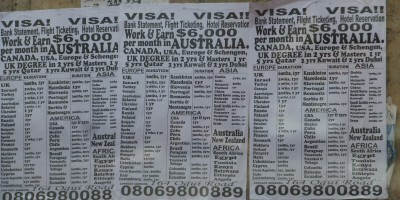 Does protest in the Diaspora pay? 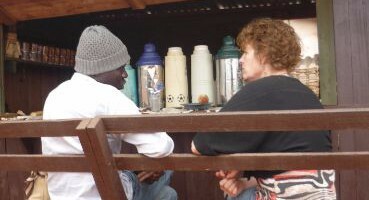 “Real change” according to Talla, takes place in Cameroon.